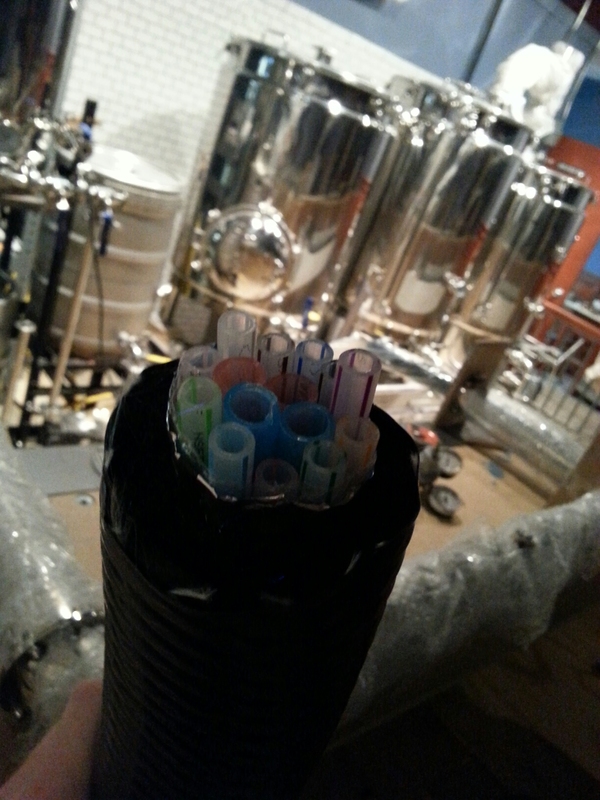 I finally received the last item of the draft beer system, Micromatics Gen-X 12 product trunk line. I researched this a lot. Essentially I didn’t want 2-3 kegerators behind the bar. They are very wide, can be noisy, more difficult to clean/manage and I couldn’t afford the space. I would still need a cooler at the end of the day anyway so I went with a draft system that would send beer from the cooler to the taps about 35-45 feet away. I wanted a trunkline that was narrow in diameter (1/4″) and very smooth. This allows me to run a long line without having more than a pint of beer in the line at any given time. Each ‘straw’ represents a beer that will flow through it to the tap. The center red and blue lines are the glycol lines that will keep the beer at temperature. 45 feet of this! This will be run from the taps at the middle of the bar to the cooler. The final touches, finally. 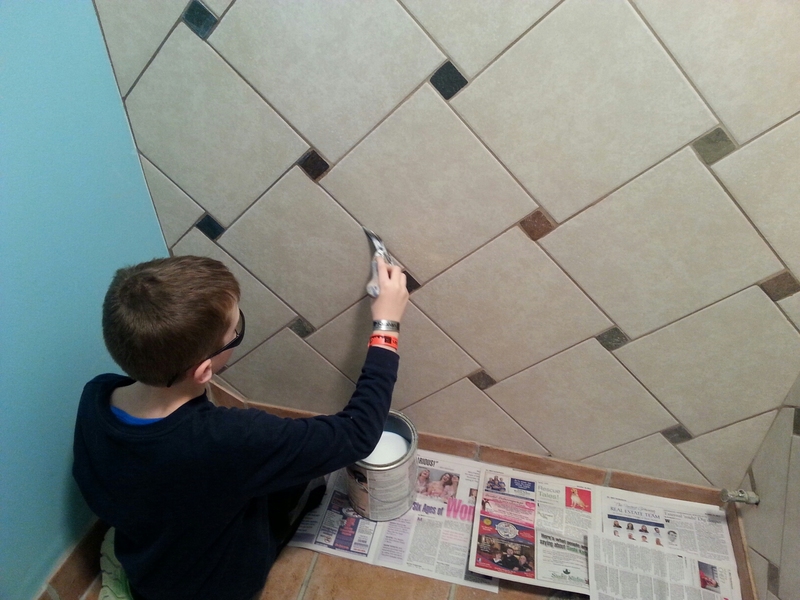 Grouting, sealing, painting and adding the fixtures back in. Grouting. My least favorite job. 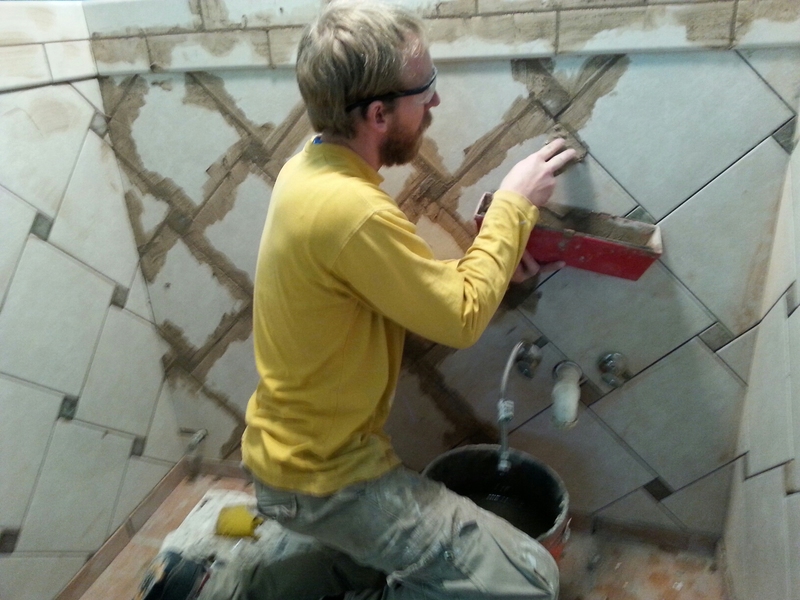 Sealing the grout for water protection. Sealing the floors and giving it a nice shine. 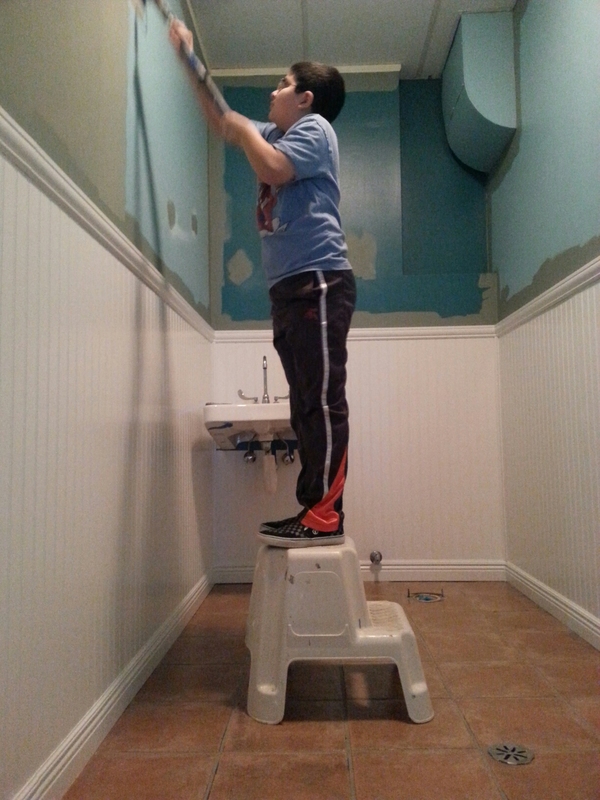 Trevor did a great job painting both bathrooms. I still need to put some fixtures in and grab bars but it came out great. 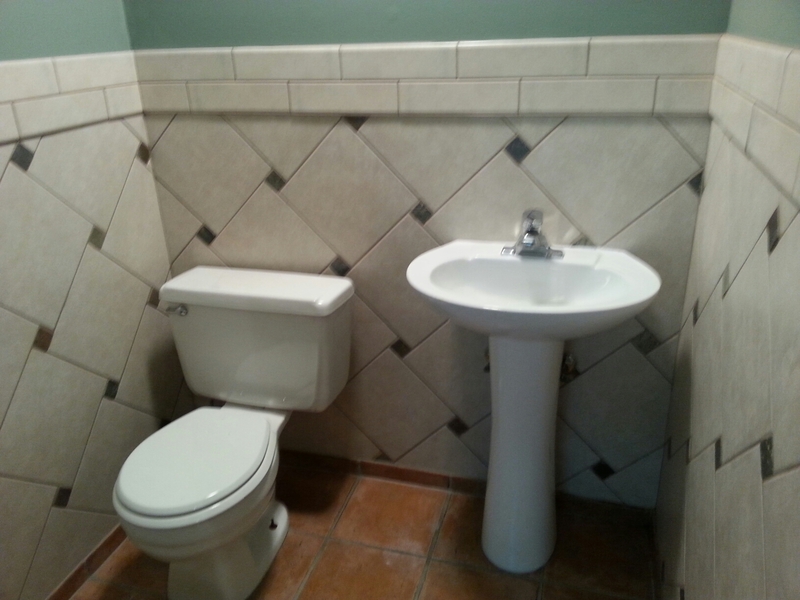 No more nasty plastic board and vinyl tile bathrooms. Well, new to us. 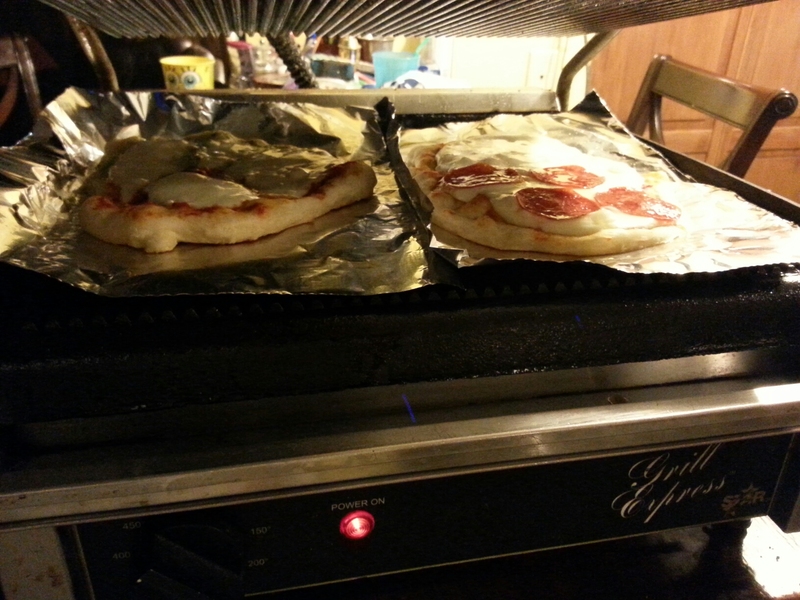 We acquired a commercial-grade panini press a few weeks ago (thanks John!) and my wife cleaned up and fired it up. Let’s just say, I have been eating good the last week. Panini pizzas with homemade dough. 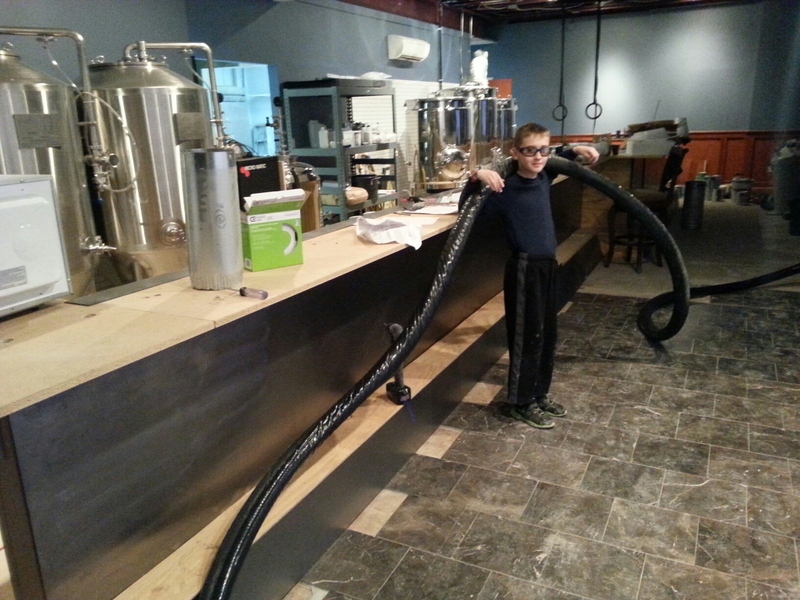 We can’t wait to get this to the brewery once the kitchen is done to put it to use. This thing is great. 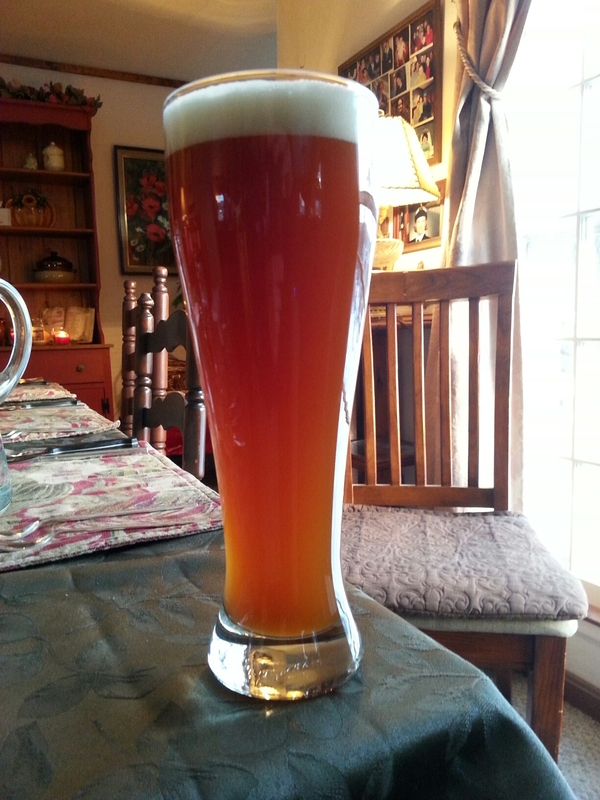 The weizenbock that I kegged a week ago has been my go-to beer at the moment. Malty and clovey…perfect for this weather. 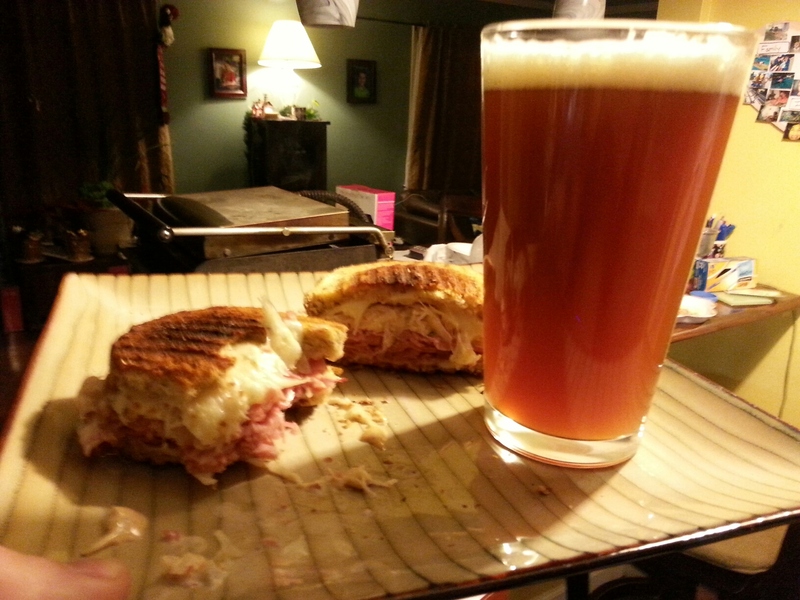 If any of you are unfamiliar with the style, check out Fathead’s weizenbock…it is truly exceptional. Move a lot of stuff we don’t need anymore out. Possibly lay tile in front of the rest of the bar. Finish the back of the bar and get the sink going. Pick out flooring for the entryway and the hallway to the bathrooms. 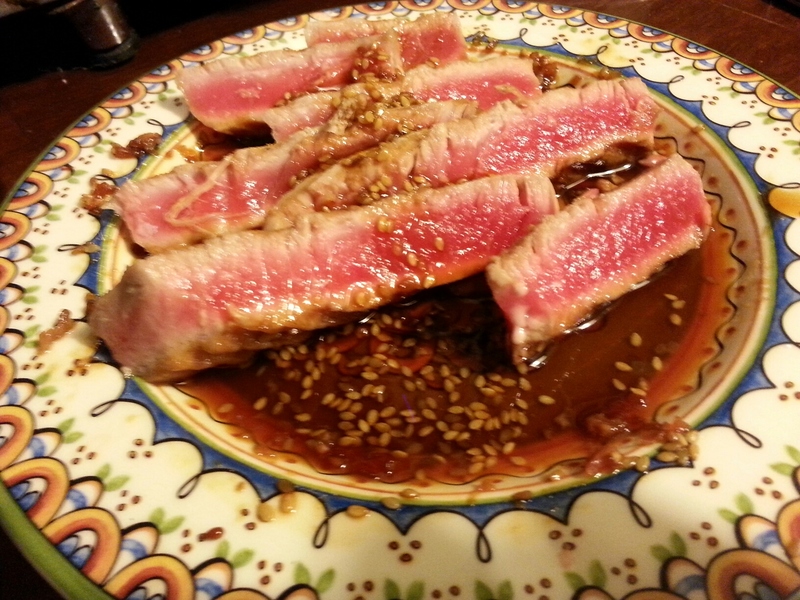 My wife has done a ton of work cleaning the panini press and coming up with and trying recipes. 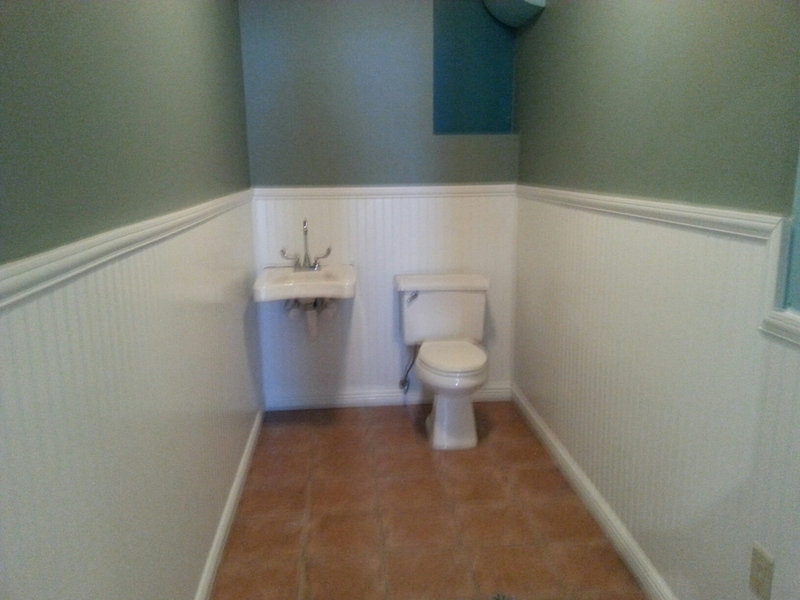 My kids also did a lot of work to finish the bathrooms.